Posted by Jace Stolfo on Wednesday, April 17th, 2013 at 3:44pm. Bridgetower was one of the top selling neighborhoods in 2012. The neighborhood has community parks, pool, walking paths, waterfalls, and more. There's even "neighborhood commercial" businesses that are within walking distance. Whether it's a trip to the dentist, a cup of coffee with a friend, or a dinner out at Ginos Italian restaurant Bridgetower has a lot to offer. Located in NW Meridian, Bridgetower also has great interstate access by traveling south on Ten Mile Rd. 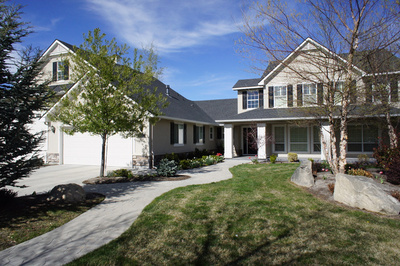 Search all the homes for sale in Bridgetower and Meridian using our Boise MLS search. Listed by Keller Williams Realty Boise. Contact us for a showing and for more information.